O-07 to wrap vegetables such as green onions in the film | Other | FUJI MACHINERY CO.,LTD. 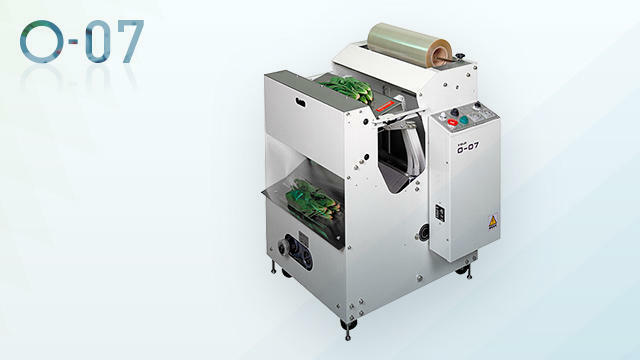 A film wrapping machine for vegetables. Employs a special wrapping method that does not tear vegetable leaves. Wide type 0-07, optimal for Welsh onions and other long vegetables. Copyright (c) FUJI MACHINERY CO.,LTD.